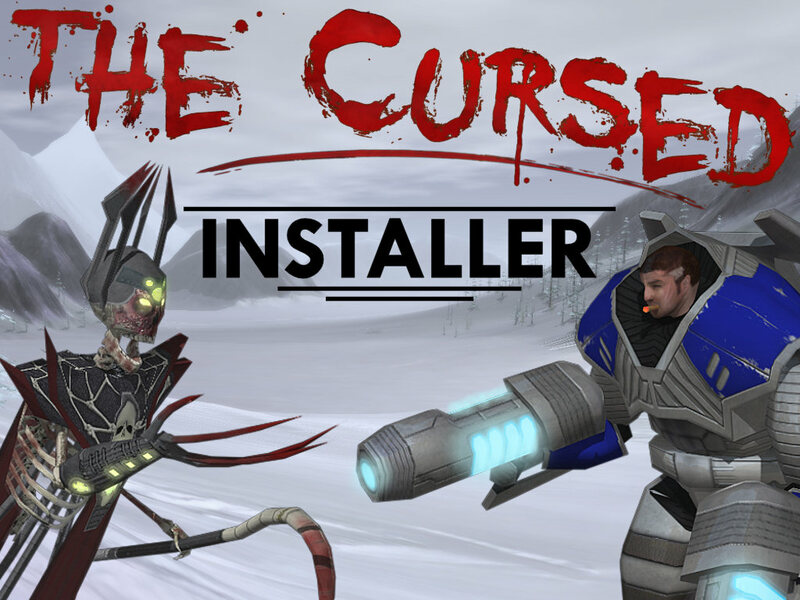 This is the full installer for "The Cursed". It is a very unique free realtime-strategy game based on the Spring engine. The game is about bones, undead, demons, space marines and magic settled in a futuristic environment. It is a fresh mixture of gameplay elements from many popular RTS games, like Starcraft or the C&C series. The game features two unique races: The Cursed - a faction combining undead and demonic creatures and the Imperial Guards - human forces with high-tech weapons and incredible firepower. Many units in game have unique abilities, like burrowing, rocket jumping, teleporting, transmutation and aura casting. You will experience a war that is fought with tanks, guns, space crafts, bone dragons, priest, demons, werewolf and angels. You may find some models that were somewhat inspired by the old Doom games, Warhammer, Starcraft and C&C. The new version is including a lot of big updates: the Spring engine was updated to version 104 and the Spring Lobby client to version 0.260. Moreover, a good load of changes was implemented for the game. Especially the improved smart unit behavior and movement have to be noted. - implemented improved automated unit behaviors for several units (jumpers, skirmishers, swarmers). Moreover the functions are now all in a gadget and can be deactivated per unit individually. - renamed the Mancubus to Moloch as the name Mancubus was obviously created by id Soft. For additional information take a look into the Changelog. For Linux & Mac users and everyone unwilling to wait for a new installer version: you have to install the game manually (as I don't have any idea about creating Linux or Mac installation files). First you need to install the Spring Engine manually and then put the game content into the Spring\games directory. You'll also have to install maps manually. yeeeeh, doing goooood, doing soooo fcking gooooood !!! !